The Paper Boutique: Fab Five Friday Washi Tape Style! Fab Five Friday Washi Tape Style! Welcome to Fab Five Friday. For those of you that are new to this blog, every Friday I showcase five blogs, websites or posts that I think you will enjoy. If you have Washi tape, this post is for you! I thought it would be fun to post links for new ideas on how to organize and use Washi Tape. I have lots of Washi tape and can’t wait to try this project. It is definitely on my to do list. In fact I am currently looking for old shutters at garage sales. Be sure to check out Steph’s blog, Crafting in the Rain for more clever ideas! To enter the ultimate Washi Tape giveaway sponsored by Craftaholics Anonymous click here. Linda is giving away 50 rolls of this amazing and versatile tape. Good luck!! For 19 Washi tape Craft ideas click here. Thanks Tip Junkie for the great ideas. I am so making the twist ties. What a clever idea! One of my favorite projects is using Washi tape to make party pencils or you could use this technique for great teacher gifts. You will love visiting Hank and Hunt’s party craft blog for more party ideas! Grab a beverage before visiting the next post from A Night Owl. 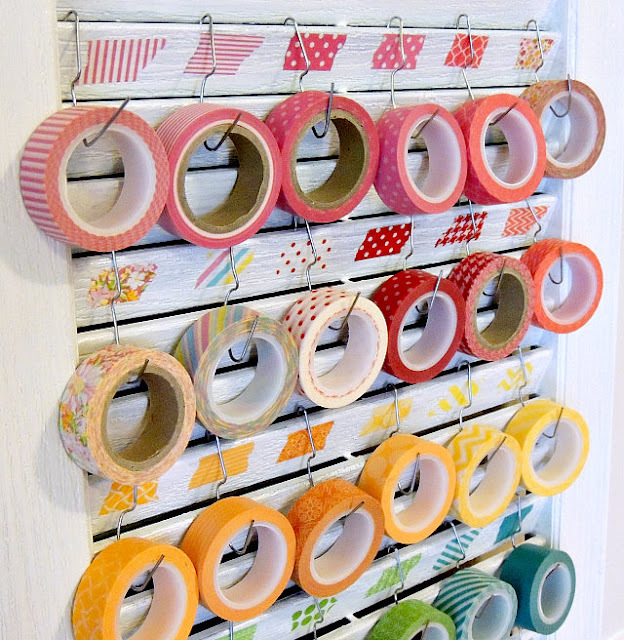 Kimberly posted 100 ways to use Washi tape! That’s right 100 ways! Amazing!! If you love Washi tape, you are going to love the Washi blog. I did a happy dance when I discovered a blog dedicated to all things Washi! I just saw one of your videos on you tube, thanks for the instruction on the silhouette. I do have a question about the Canon 9000. I have one too and don't know how to get it to print a 12x12 paper. I don't know what size setting to pick. My email is is scrappincards@cimcast.net Thanks for your help. I love the washi tape storage on the shutters. What a wonderful idea, it looks so, so great! TFS this site. Also, I would love to win the give-away prize. I have been your follower forever and love your blog. I particularly love how you explain things so clearly, you are my inspiration. Thank you! What a wonderful way to store these. I do not have any washi tape yet but it is next on my list. lol. 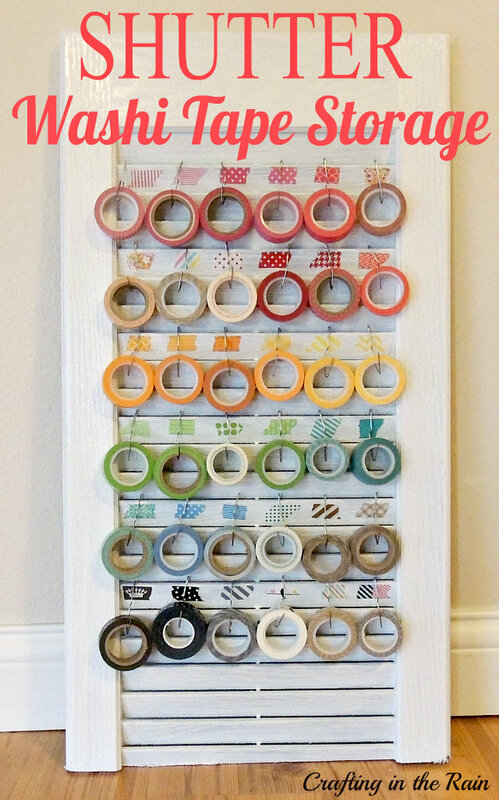 What a fabulous idea for storing washi tape. Love this.